The HCCSC Food Service team would like to thank you for the opportunity to serve your children each and every day of school and during the summer. 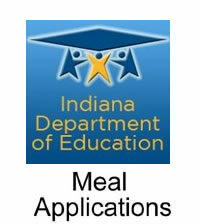 Last year, we served over 825,000 meals to the children of Huntington County. Our goal is to always provide outstanding service and high-quality, “kid-friendly” meals that meet or exceed the latest federal and state guidelines. Good nutrition is key to good mental and physical health, and because of that, we offer a hot breakfast and lunch each day at all of our schools. Come join us for lunch and/or breakfast and have a great day, week, and year.